The new International Para-Drogue increases fishing capability from the boat to international fishing competition standards, by considerably slowing down your drift in high wind situations, increasing your fishing time in the correct zones. 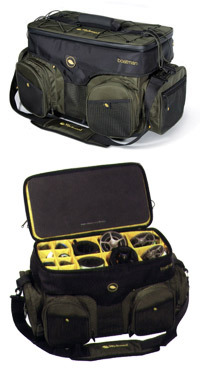 Featuring rot-proof, 'invisible' ropes which maintain stealth while on the water, the international para-drogue's dual arm design also allows the angler to direct the boat on a drift. Along with this fantastic directional function the dual arms also allow a speedy retrieve of the drogue when change of drift is needed and the drogue is fully submerged. Dimensions: 25ft2 (2.25m2). 5m long drogue ropes.  25ft2 [2.25m2] competition legal parachute.  5m Rot-proof 'invisible' ropes.  Dual arms for drift steering capabilities.  Reinforced stitching for strength.  Central drain hole for linear drifts. A very simple to use drogue. Once deployed over the side of your boat, this single arm drogue will substantially slow down your drifts on open water. Your slowed drift will allow you to fish longer in high wind conditions, covering and targeting more fish than ever before. 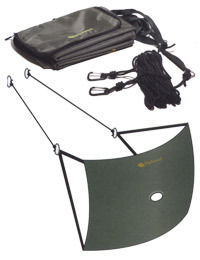 The heavy duty, rot-proof, dark 'invisible' rope features a C-Lock clip to easily secure to various parts of the boat.  5m Rot-proof 'invisible' rope. 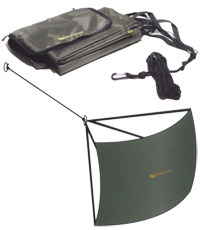  Single arm parachute construction. 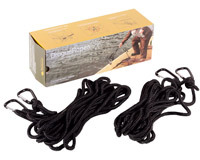 A pair of low visibility rot-proof drogue ropes measuring 6m in length. Featuring C-Clip attachments at adjacent ends for easy application to current drogues, plus securing to the boat when drifting.  Minimal stretch, great strength.  6 metres in length.  C-clip attachments at both ends. 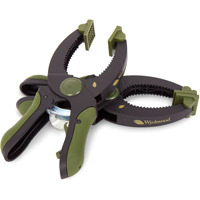 The Wychwood Drogue clamps are supplied as a pair, allowing for easy fixing of drogues to almost any freshwater fishing vessel via either the boat gunnels or various other locations. With a self-locking design the clamps provide a high-strength fixing point for most drogues. The clamps can also help determine the drift of the boat.  High strength self-locking clamps.  Sturdy attachment points for drogues.